The direct effects of lightning include the physical damage due to the attachment of the very hot (35-50,000°F) and high-current (200,000+ amperes) lightning channel. Direct effects include the burning and shattering of materials and the direct conduction of lightning voltages into electrical and electronic circuits resulting in burnouts of equipment. Direct Effects lightning generators are High-voltage, Marx-type impulse generators produce voltages and electric fields up to 2.4 million volts to simulate lightning leader attachment and surges induced on power transmission lines. The high-current generator produces up to 200,000 amperes and includes three units adapted to duplicate the lightning stroke, and intermediate and continuing current waveforms of a typical lightning strike. To accommodate very large test specimens, direct-effects tests are performed in facilities like Lightning Technologies‘ indoor high-bay laboratory that measures 40 x 120 feet. Aircraft certification and flight safety authorities around the world require that aircraft structures and systems that are critical or essential to the safe flight of an aircraft be protected from significant lightning-induced damage or upset. 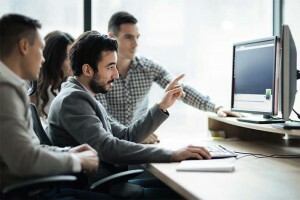 These requirements are fulfilled through a certification plan that details the lightning protection engineering and shows — through verification testing — that the engineering meets all applicable standards and regulations. U.S. Federal Aviation Regulation FAR 25.581 mandates that every “aircraft must be protected against catastrophic effects of lightning”. 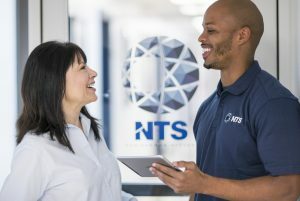 NTS provides lightning protection engineering, certification plan preparation and verification testing services to airframe and aerospace systems manufacturers around the world. With a lead role in major commercial and military design programs, our engineers take a system-wide approach to assuring that lightning protection is compatible with space and weight limitations, electromagnetic compatibility and electromagnetic pulse. Our experience includes traditional designs, all-composite and fly-by-wire aircraft, as well as avionic upgrades and engine modifications. Direct effects lightning testing is called out in RTCA DO-160 Section 23 as well as in EUROCAE ED-105, SAE ARP5412, 5414, 5415, 5416, 5577, IEC 61400-24 Annex D.2, MIL-STD-464 Section 5.5, LC1024/1027, ANSO LC-1 and 14 CFR 25.981.